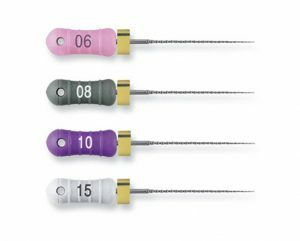 After years of practice and experience, these 10 endodontic tools are my must-have products for any root canal. I can’t live without them, and I hope they help you enhance your practice as well. 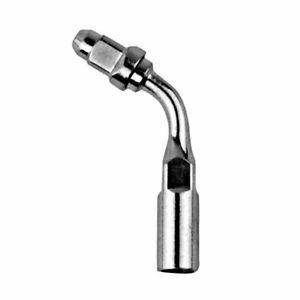 First, we should discuss that in any “top tools” list, the larger technologies make such a difference in successful root canals. Easily, my two top tools are my microscope and my CBCT. If you can make the investment in these two pieces of equipment, they will change your life. 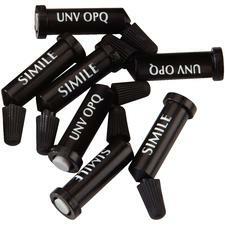 Not only will they help you in endodontics, but in all things dentistry. A microscope plus restorative dentistry equals a game changer, and if you can implement this in your practice, you can easily set yourself apart from the competition. The tools on this list can be found many places. Check with your local supplier, or even ebay to get the best price. 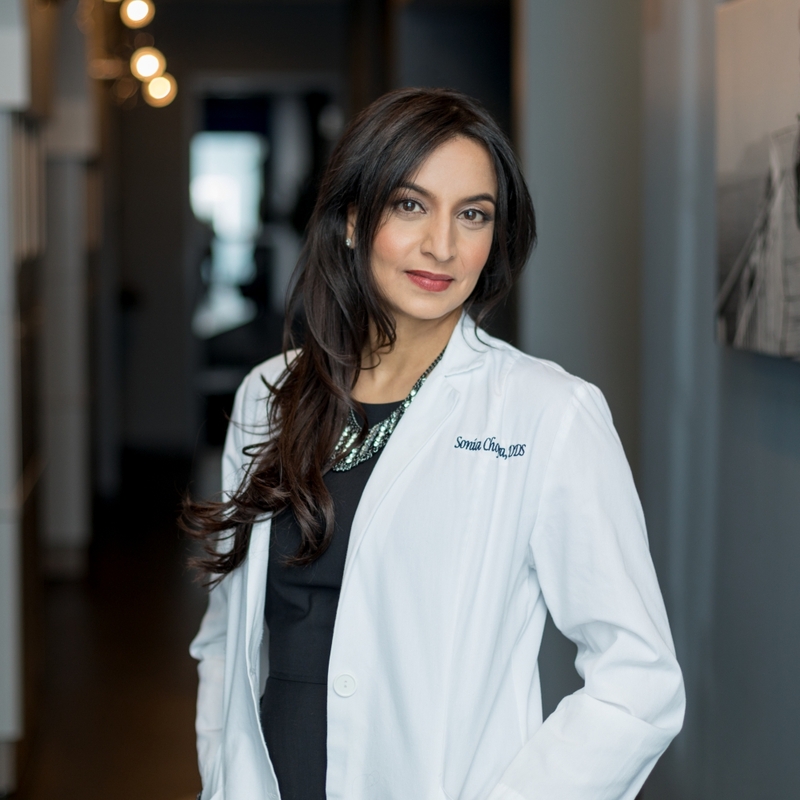 I am not partial to, nor the spokesperson for, any one manufacturer — just know that I love these products, and they work for my practice and my patients. The ligajet is my best friend because she works like a champ every time. Together, we can get anyone numb, no matter their symptoms. So even if you are just doing restorative work, you can use this tool to get the job done. I use this gadget when my patients still have pain, even after I have given them my full standard dose of anesthesia. 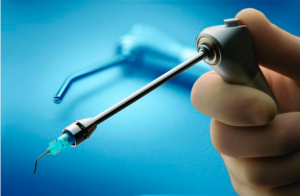 This gives a pressure PDL injection that, if done right, allows you to treat any hot tooth. It’s a must in my tool kit. Making sure your rubber dam has no leaks is super important. An open area could let saliva into your working area. Or worse, it could allow bleach to leak into the patient’s mouth or allow saliva and bacteria back into the tooth. Life isn’t perfect, and neither is your rubber dam. So I suggest using Opaldam to seal those areas up before you start. I do prefer this product over Oraseal, as I find that it adheres to the rubber dam much better. It flows like a flowable composite and light cures in place (you will need to dry the area as much as possible before use). 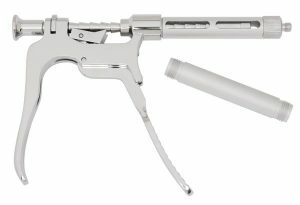 I use this for precise air control, and for its safety. It reduces the air pressure that you would get from a normal air/water syringe, and allows me to blow air in the tooth without the chance of my patient developing an air emphysema. 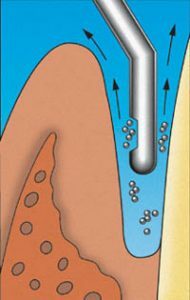 Once I get into a tooth, I negotiate the canal to working length, but usually I get stopped by some level of calcification. My C-files (or cutting files) help me bypass all that, and achieve patency. I use the 6, 8, 10 and 15 C files so regularly that I don’t even bother to invest in the K-file any more. Both files look the same, but the C file has a “C” on the handle to differentiate it. They get me around blockages so that I can have a good glide path for my rotary files. Obtaining the appropriate working length is imperative in the success of your cases, and these files will save you from stopping short. I am not brand specific for these files, so just look for the best price. 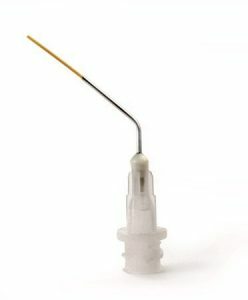 Previously I used an end-vented needle for irrigating my sodium hypochlorite, and maybe you do, too. However, even if you’re careful, you can still have a hypochlorite accident. 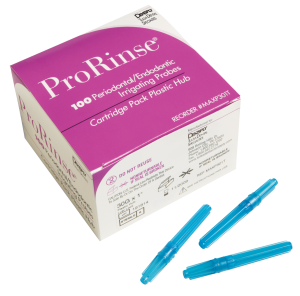 These ProRinse (or Max-i-probes) are the best because they are small enough to get deeper into the canal, plus they are side-vented to allow for the irrigant to flow back to the orifice. It’s a safety feature that I think is a must. I love the 30 gauge (blue) needle, but I also use the 28 gauge (pink) when I need to differentiate between my irrigants. When a tooth is infected, or just too difficult to finish in one visit, I medicate the tooth with calcium hydroxide. This is my inter-appointment medicament of choice. 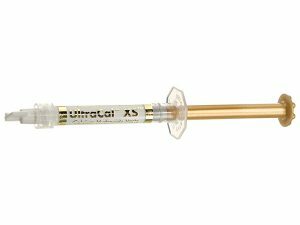 Ultracal by Ultradent has been my favorite go-to calcium hydroxide paste. 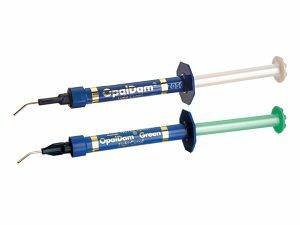 Your calcium hydroxide will need a special tip so that you can try to get the paste as far down the canal as possible. Ultradent does make their own tips, but this one from Vista is my favorite simply for its flexible tip. These ultrasonic tip holders make your own ultrasonic tip, and… voila! You have an instant “endoactivator” for a fraction of the cost. My business partner suggested these and they work great, last forever and are super economical. Once you have the holders, you take the handle off of a 15 K file and insert it into the tip and use it with your piezo. You can get a set of these on ebay for about $15-20 dollars. (The sellers on these often change, so do a search on ebay for the latest results). It pains me when I see a patient come back to my office months after their root canal was done and they are still sitting in their temporary filling. Nobody wants to redo a root canal, including me! Years ago, when I first saw this happening, I started placing an orifice barrier in these cases. Initially, I did it with a tooth-colored composite, but I soon realized it would be great to be able to distinguish easily between the tooth and the material in case a retreatment is ever necessary. This also would give the dentist a reference on where to stop inside the tooth. 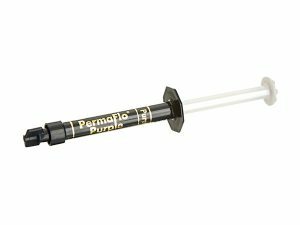 Again, Ultradent makes a great product and it’s my favorite color, purple! I want my patients to have their crowns for as long as possible. I try to make the access as small as I can, but then I like to camouflage the area with a nice white opaque composite so you can’t even see where I had to make a hole in their crown. It took me some trial and error to find this one, but it tends to match most porcelain shades. My pleasure Payal! Let me know if there’s any specific endo topics you’d like covered. It really very helpful!! Thank you so much Dr.Sonia. I’m glad to help Nagarani! Thank you – happy to help! Thank you for following Dr.! I am launching the course first in English, and we’re looking into translations, for both the videos and the documents. what do you think about Qmix? I have been using it for a few years and I love it. Hey Justin! If you love Qmix, great. I just find it more thrifty to use a generic sodium hypochlorite and EDTA :).